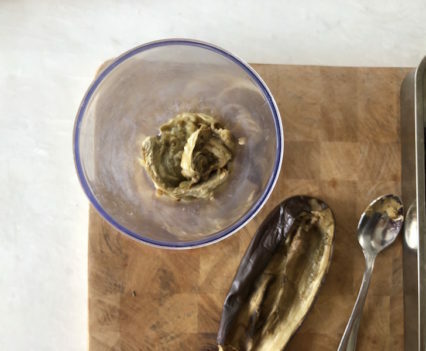 When the heat comes but it’s no time yet for holiday, we feel more and more the desire to travel and to see new places: those who are still at work can only use their imagination or, as I do in the kitchen, prepare ethnic dishes that makes us think about exotic countries 😉 This aubergine cream is inspired by the Baba Ghanoush, typical sauce of Middle Eastern regions, today revisited for you: the garlic is rubbed directly on bread, to flavor it, and, instead of mint, I’ve used a mixture of sage and thyme leaves, fresh from my small aromatic garden. 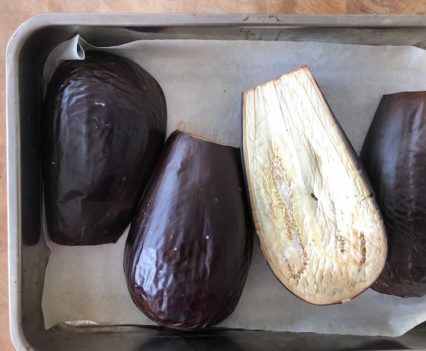 Preheat convection oven 180° C / 356 F.
Carefully wash the aubergines and discard the leaf stalk. 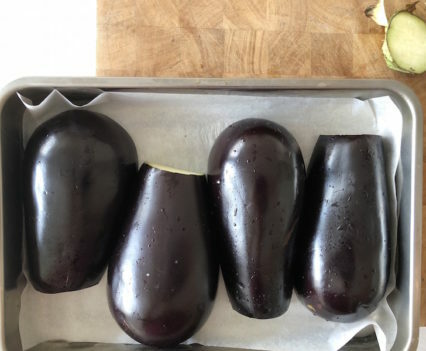 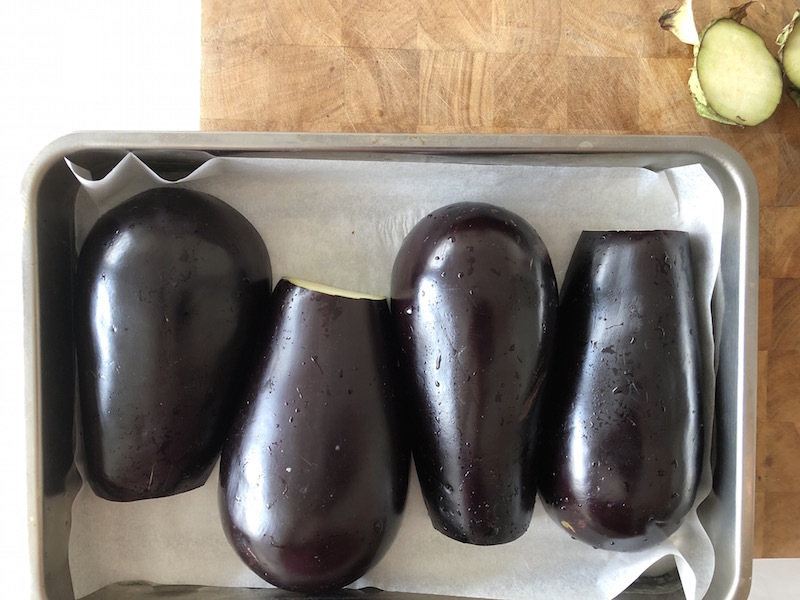 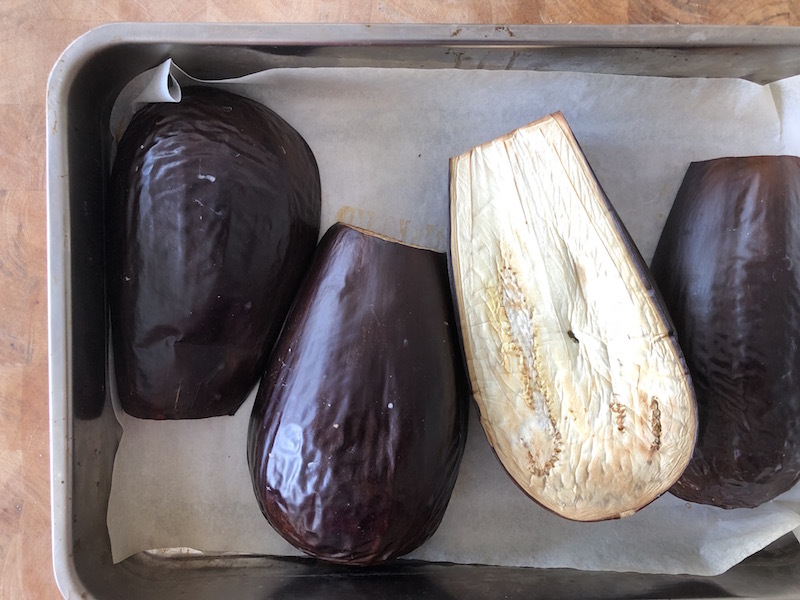 Cut the aubergines in half and place them on a baking sheet. 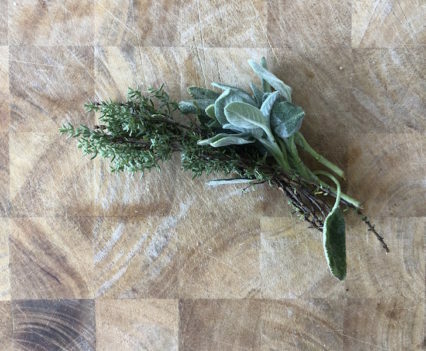 Wash and chop the sage and thyme. 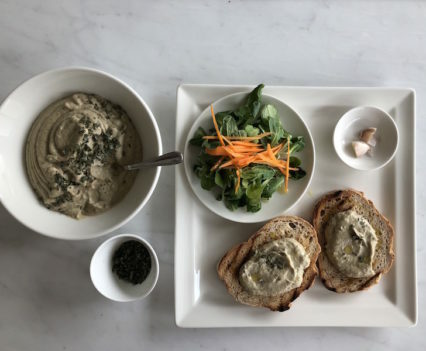 Slice the bread and toast it on a plate. 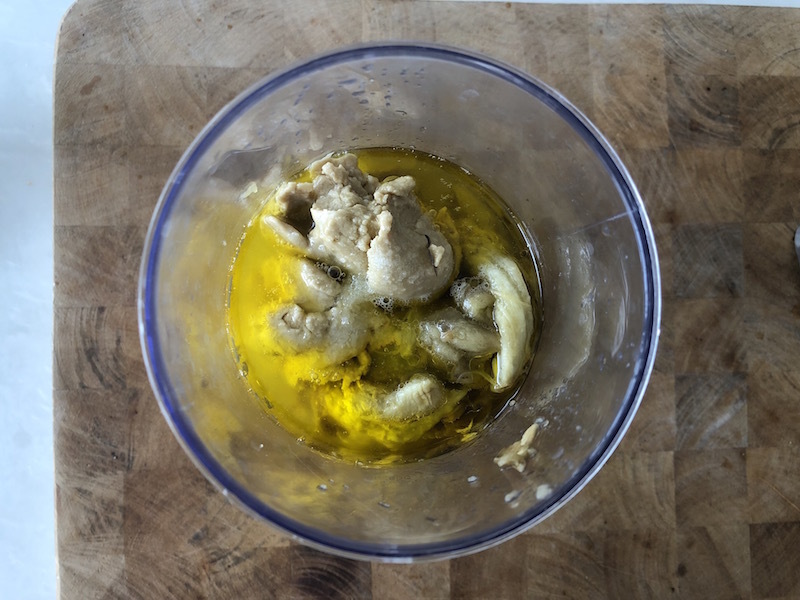 Cut a clove of garlic in half and rub it on the bread surface. 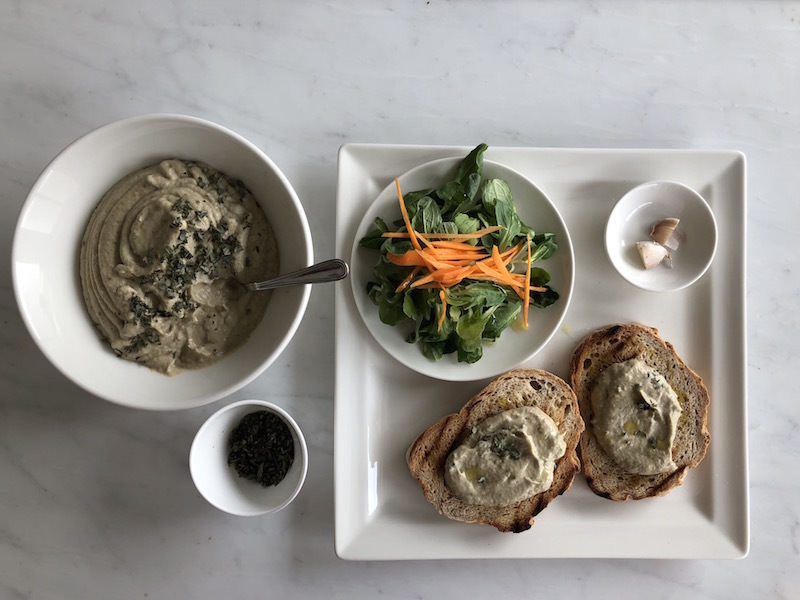 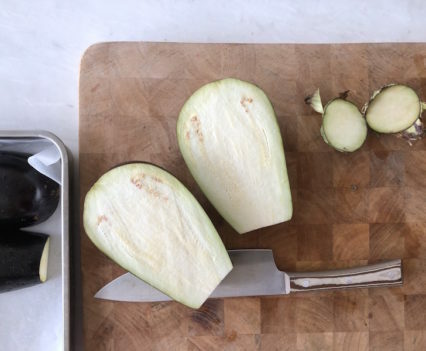 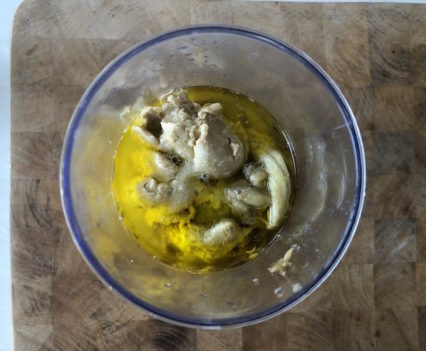 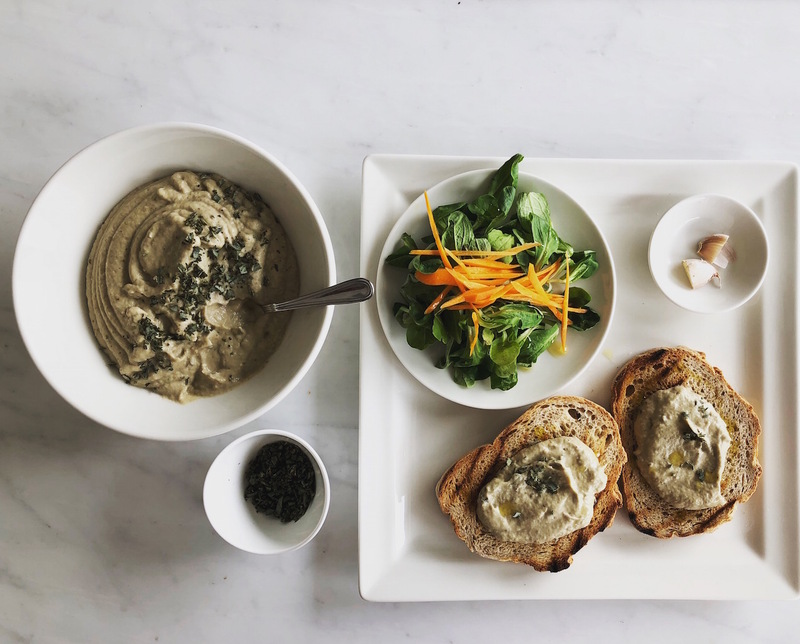 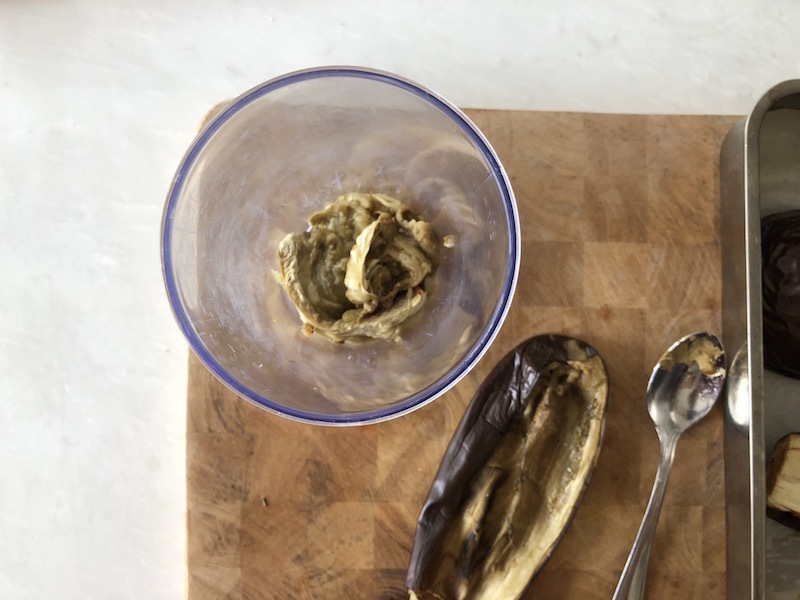 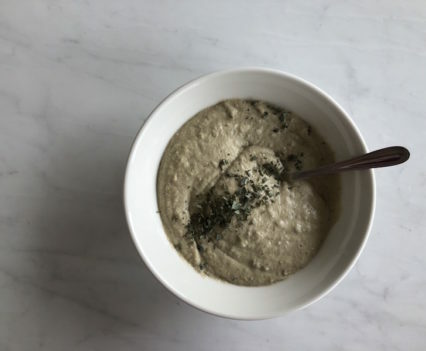 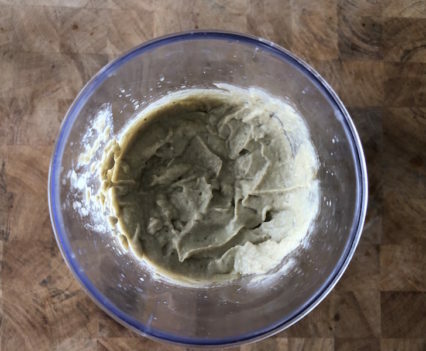 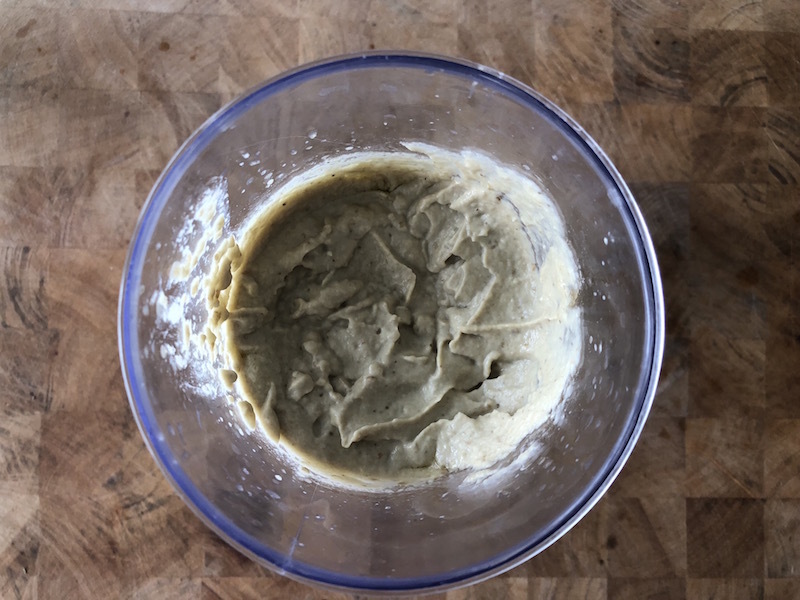 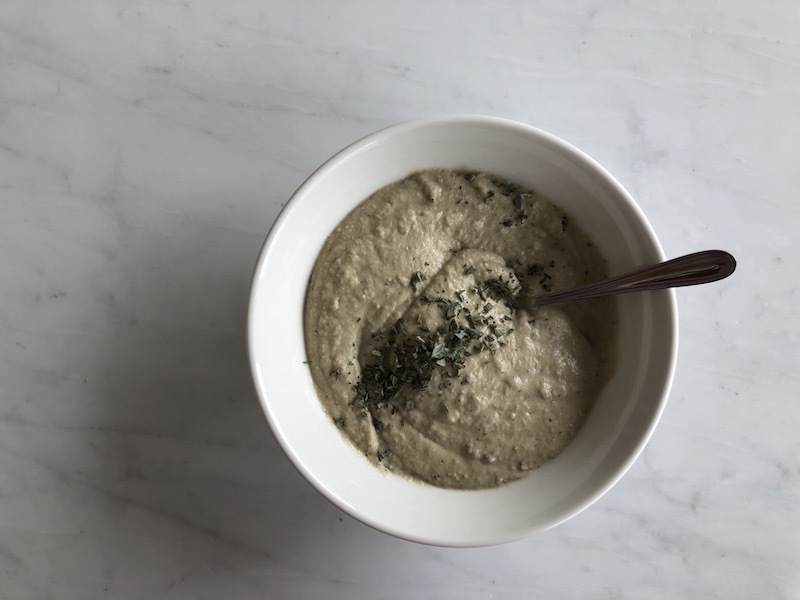 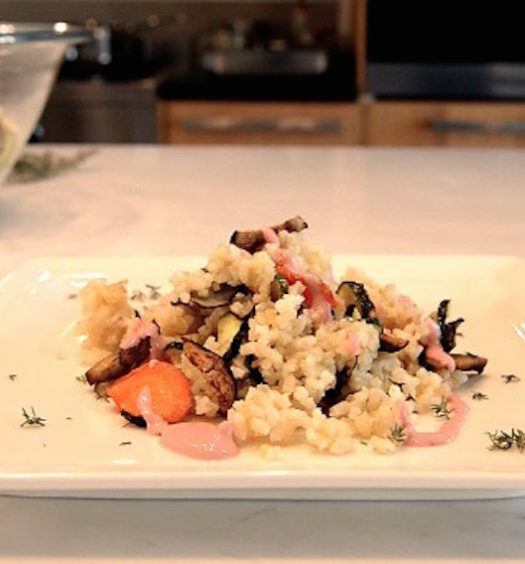 When the aubergines are cooked, remove the pulp using a spoon (discard the peel) add 2 tablespoons of tahini sauce, salt, oil and the lemon juice; blend until it becomes a smooth cream. 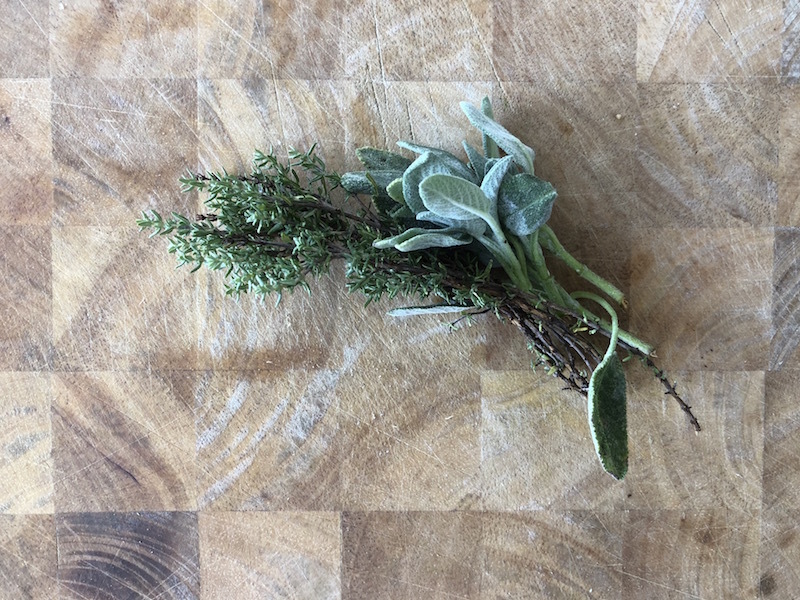 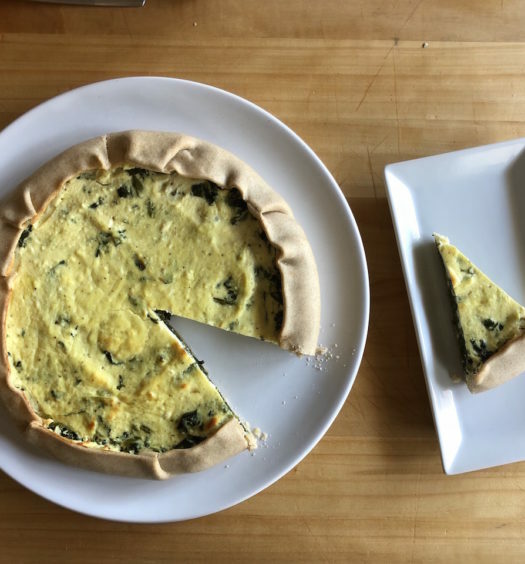 Serve on bread with the chopped mint and sage leaves and some raw extra virgin olive oil.